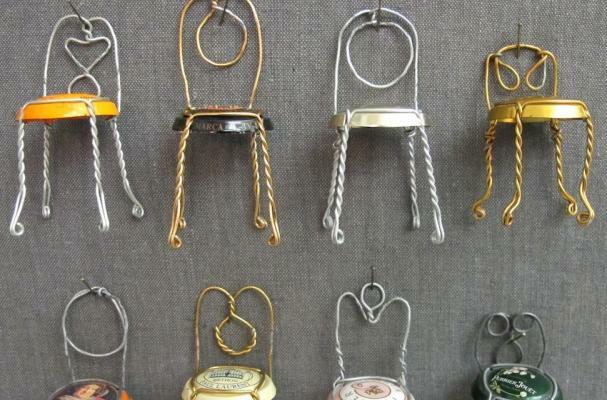 Hosanna Houser recently shared instructions for these Champagne chairs on the Martha Stewart blog; they're made by bending and twisting the wire cork cages from sparkling wine bottles using pliers. With a bit of artistry and creativity, it's easy to turn these cages into art worthy of a dollhouse or collection of miniatures. If you plan on purchasing a bottle of sparkling wine to try this project out, you'll find these recipes for easy, classic Champagne cocktails especially appropriate. 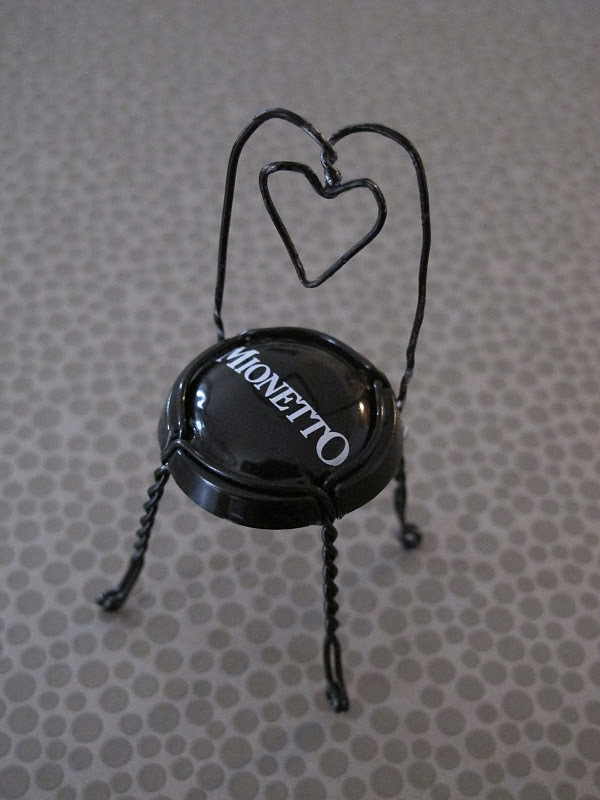 We always do this with our bubbly corks! So fun! We have a collection from all of our special occasions, then write the date/event on the bottom of the "seat." I love that! I do the same with the corks. Sometimes I bend the cages into little turtles, but those don't get saved like the corks do. Fun!